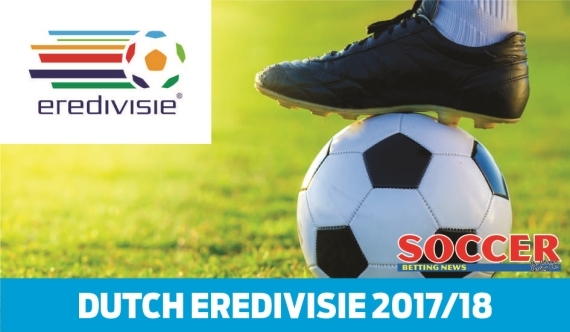 Vitesse, Utrecht, PSV Eindhoven, Venlo and Feyenoord have all won both their opening games. Vitesse continue to ride the crest of the Eredivisie wave as they managed to maintain their 100% record with a 3-1 victory over Roda last week. Utrecht, PSV Eindhoven, Venlo and Feyenoord have also won both their opening games, making the top of the table look very interesting with goal difference and other permutations coming into play. Let's predict what will happen this week. As expected, Breda got smashed 4-1 at home by PSV Eindhoven in their second league match. That saw their poor start to the season continue as they remain winless after two matches, conceding a whopping eight goals and only finding the back of the net on two occasions. They anchor the Eredivisie table due to inferior goal difference. After being shocked 3-0 by newly-promoted Venlo in their league opener, Rotterdam managed to hold Zwolle to a 1-1 draw in a bottom-of-the-table clash and they will fancy their chances against the Eredivisie strugglers on Friday. I’m expecting Sparta Rotterdam to narrowly edge Breda out. Vitesse once again cruised to another victory in week two, smashing Roda 3-1 and will be looking to consolidate their place at the summit as they currently ride the crest of the wave. Having finished fifth last season, they seem to have improved and their form might put them in a good position to challenge for the title or at least champions league places. AZ understandably lost their tightly contested encounter 3-2 to PSV and last week they managed to return to winning ways with an emphatic 2-0 success over ADO Den Haag. This is match between the team that finished sixth and the one that finished fifth last season so it should be won on narrow margins. I’m backing Both Teams to Score at 5/10. Den Haag are second from the bottom after losing both their matches and tough tests keep coming thick and fast. They have conceded five goals without scoring and that highlights their poor form over the last few years, having finished 11th on the log last season. The fallen giants of Dutch football, as I like to call Heerenveen, have only collected two out of a possible six points in their opening two matches. They were held to a 3-3 stalemate by Groningen and played to a 3-3 draw against Heracles. This shows that they attack well but they leave themselves open at the back as well. I foresee Heerenveen returning to winning ways here. Zwolle should be content with the way they’ve kicked off their campaign, having amassed a total of four points out of a possible six in the first two outings. They shared the spoils with Sparta Rotterdam last week and before then they had won their opener 4-2 against Roda. Kamohelo Mokotjo’s former team, Twente have lost both of their games. They lost 2-1 to both Feyenoord and newly-promoted Venlo. Losing their box-to-box midfielder Mokotjo to English Championship side, Brentford has left a huge void in their team. This match is likely to end in a stalemate. The way Heracles have started this season is absolutely amazing! They beat last season’s runners up, Ajax 2-1 and then managed a 1-1 draw at Heerenveen – not bad for a team that finished 10th last season. Excelsior, who finished 12th last season, are a very dangerous side that can hold its own against the big guns, but they seem to take their foot off the pedal against teams at their level. They come into this encounter with a record of one win and one defeat. Excelsior have dominated the last five matches between these two sides, winning three, losing one and drawing one. I think this will be a cagey affair and only one team will get on the scoresheet. Take Both Teams to Score (No) at 14/10. Feyenoord are the defending champions and they have somewhat kept up with the pace as they have collected maximum points in their first two games. Last week they ground out a 1-0 victory over defensively resolute Excelsior. They are unbeaten in the last six matches against Willem II. The last time Willem II beat Feyenoord was in 2014 and there have been six matches ever since, five of which were won by Feyenoord (one after extra-time) and one was drawn. Willem have lost both their opening two games of the current campaign, conceding four goals and scoring once. This should be a drubbing for the visitors and I’m backing Feyenoord on the (-1) Handicap at 11/20. The new kids on the Eredivisie block keep causing upsets and they have collected maximum points from their first two games. They opened the campaign with a 3-0 drubbing of Sparta and followed that up with a 2-1 win at Twente. This will be a very exciting match against last season’s runners up. Ajax returned to winning ways with an emphatic 3-1 victory over Groningen which made amends for their 2-1 defeat by Heracles. They seem to have found a solution to losing their playmaker, Davy Klaasen to Everton. I think Venlo’s unbeaten run will end. Back the visitors at 4/10. With only one point collected out of a possible six, Groningen are in serious trouble as they face off against one of the unbeaten sides this season. Groningen held Heerenveen to a 3-3 draw only to be clobbered 3-1 by Ajax in their second match of the campaign. Utrecht come into this encounter with a 100% record, having won their opening two matches. They have the best defensive record in the league so far with two clean sheets and five goals scored. I’m expecting them to beat the winless Groningen. PSV are also one of the five teams that have won their opening two matches. They smashed Breda 4-1 right after edging out AZ 3-2 in a tightly contested encounter. They currently lie third on the standings and that’s exactly where they finished last season. Things continue to go south for Roda who only kept their place in the elite league due to winning the promotion/relegation play-offs. They are currently third from the bottom only due to goal difference as they, just like the bottom-paced team, have lost both of their matches. This should be a convincing victory for PSV.